Cisco - 3845 Series 3800 Genuine Original Cisco 3845 Series 3800 Integrated Services Wired Router CISCO3845-MB IPME110BRA 47-16864-01. Cisco - 3845 Series 3800 Genuine Original Cisco 3845 Series 3800 Integrated Services Wired Router CISCO3845-MB IPMNG10DRA 47-16864-03. 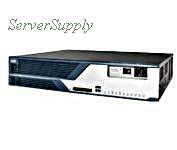 Cisco - CISCO3845-DC CISCO3845-DC Cisco 3845 Integrated Services Router - 4 x HWIC 2 x AIM - 2 x 10 100 1000Base-T LAN 2 x USB. New Bulk Pack. 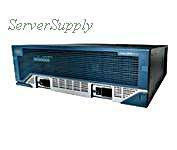 Cisco - CISCO3845 CISCO3845 Cisco Systems 3845 Integrated Services 2 Port Router. New Factory Sealed. Cisco - CISCO3845-SEC-K9 CISCO3845-SEC-K9 Cisco 3845 Security Bundle Router - Modular - Gigabit Ethernet. New Factory Sealed. Cisco - CISCO3845-SEC/K9 CISCO3845-SEC K9 Cisco 3845 Security Bundle Router - Modular - Gigabit Ethernet. New Factory Sealed. 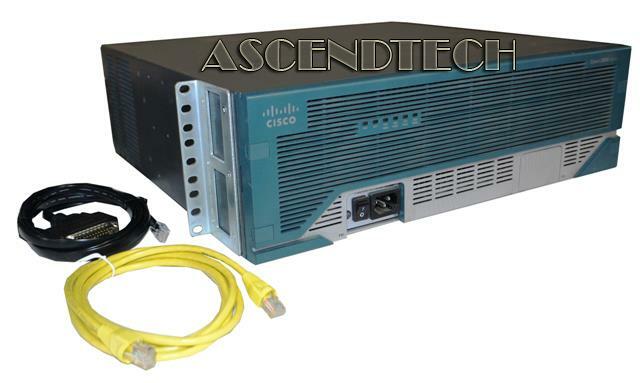 Cisco - CISCO3845-V/K9 CISCO - (CISCO3845-V/K9) 3845 INTEGRATED SERVICES ROUTER - AC 2GE 1SFP 4NME 4HWIC 2AIM VOICE BUNDLE W/ PVDM2-64 IOS SP SERVICE. NEW FACTORY SEALED. IN STOCK. SHIP SAME DAY. Cisco - CISCO3845-HSEC/K9 CISCO - (CISCO3845-HSEC/K9) 3845 INTEGRATED SERVICES ROUTER - SECURITY BUNDLE WITH AIM VPN EPII+ ADV IP SERVICE. NEW FACTORY SEALED. IN STOCK. SHIP SAME DAY.